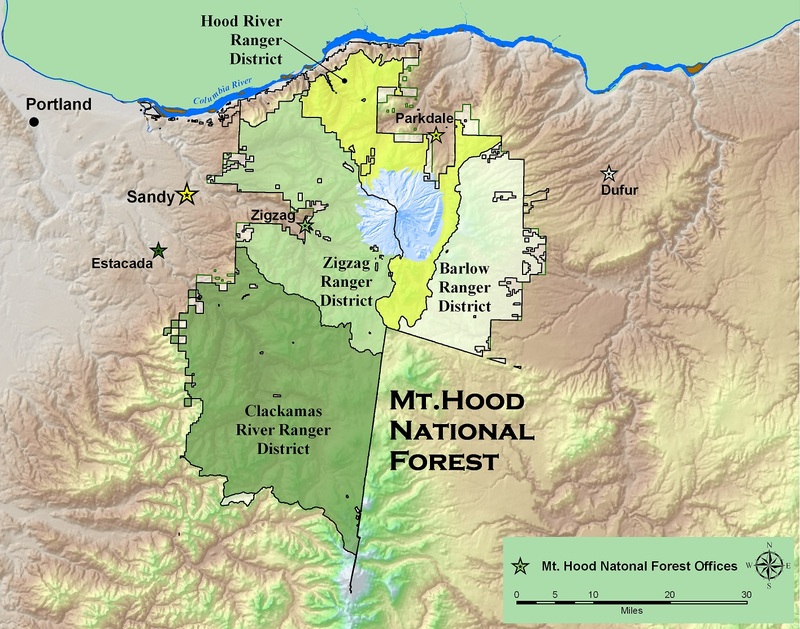 In response to concerns from Bark, Oregon Wild and several individuals, the Forest Service has dropped 869 acres from a proposed timber sale south of Mt. Hood. The proposed Lemiti Butte Timber Sale now consists of 1,432 acres of salvage logging (down from approximately 2,300 acres originally proposed in 2012) in the Clackamas River Ranger District of Mt. Hood National Forest. The project area borders the Sisi Butte Wilderness Area to the west, Olallie Lakes Scenic Area to the south, and the Confederated Tribe of Warm Springs Reservation to the east. Lemiti is a large, remote area of standing dead lodgepole pines with a growing understory of young mountain hemlock trees. Most of the lodgepole pines were killed by an outbreak of mountain pine beetles, a native insect. The Forest Service intends to predominantly clear-cut the dead lodgepole pines to “reduce fuels, minimize resource impacts from fire, provide for enhanced firefighter safety, and enhance the productive capacity of the forest.” This is at the expense of one of the most valuable features in a diverse forest ecosystem: a structurally and biologically diverse snag forest. Snags (or standing dead trees) provide even more habitat to wildlife than living trees, and the environment following a natural disturbance (whether it be a fire, disease or insect outbreak) that creates snags is the second most biodiverse forest ecosystem that exists (second only to old growth forests). This is why, when Lemiti was first proposed, Bark began to raise awareness about the value of dead trees. In 2012 the Forest Service offered public tours of the area so that interested parties could learn about the ecology, history and understand risks in the proposal. In Bark's and others' comments to the Forest Service, concerns were consistently raised about the loss of valuable, “early-seral” snag habitat. Because of these concerns the Forest Service adjusted their proposal, protecting the snags in some of the most important and sensitive areas such as in owl habitat, and forest adjacent to streams. Lemiti is a beautiful area to explore. Natural features include Lemiti Creek, Slow Creek, native meadows containing several medicinal herbs, Lemiti Butte, a diverse songbird community, migrating bald eagles, and an ecosystem in transition! This area is also historically significant, as it includes the former location of the historic Oregon Skyline Trail, as well as the former site of the now abandoned Lemiti guard station. Lodgepole pine ecosystems naturally function with fire as a key ecological component, relying on fire to rejuvenate their populations. Lodgepole pines grow fast and die young, and are often killed by beetle infestations (as is the case in Lemiti Butte) or from a severe fire. While Bark is grateful that many areas will be spared from logging, we believe it's important to recognize and consider the ecological function that a forest fire would provide to this area. Because of the Forest Service’s direction to suppress fires in this area, these forests are unable to go through the natural cycles which evolutionarily shaped them. Just down the road from Lemiti Butte is the Olallie Lakes Scenic Area and resort, visited by over 30,000 people each year. Bark and others are delighted that the Lemiti project will also include improving the road into the Scenic Area from the north. The road has been almost impassable for low clearance vehicles, large recreational vehicles, garbage trucks, toilet pumping trucks and other service providers. This road is just one example of the many under-maintained routes to popular, revenue-generating destinations in Mt. Hood. Despite the fact that many acres of logging were dropped, the Lemiti Butte project would still build around 4 miles of new roads in an area that is almost entirely roadless, as well as rebuilding 3.5 miles of roads that have already been restored through decommissioning, to log the remaining 1,432 acres. We believe these activities would disrupt the wild and remote nature of this area including its wildlife, hydrology and native plant communities. Bark will be submitting additional comments to the Forest Service, focused on limiting roadbuilding into remote areas, protecting areas of intact mountain hemlock and key snags being utilized by wildlife.